There’s a darn good reason that there are so many PSYCHOLOGY+UX articles floating around. User experience design has its conceptual roots in cognitive and behavioural psychology. Even though you no longer need to be a psychologist to be a user researcher, if you’ve arrived at a UX career through a path in visual design, you might be missing out on some core psychology knowledge to help you make better design decisions. Let’s start with a brief background. Though the concept of human-centered design has gone by many names over the years (human factors, usability, human-computer interaction, user experience design), this philosophy and methodology largely took hold during World War II. 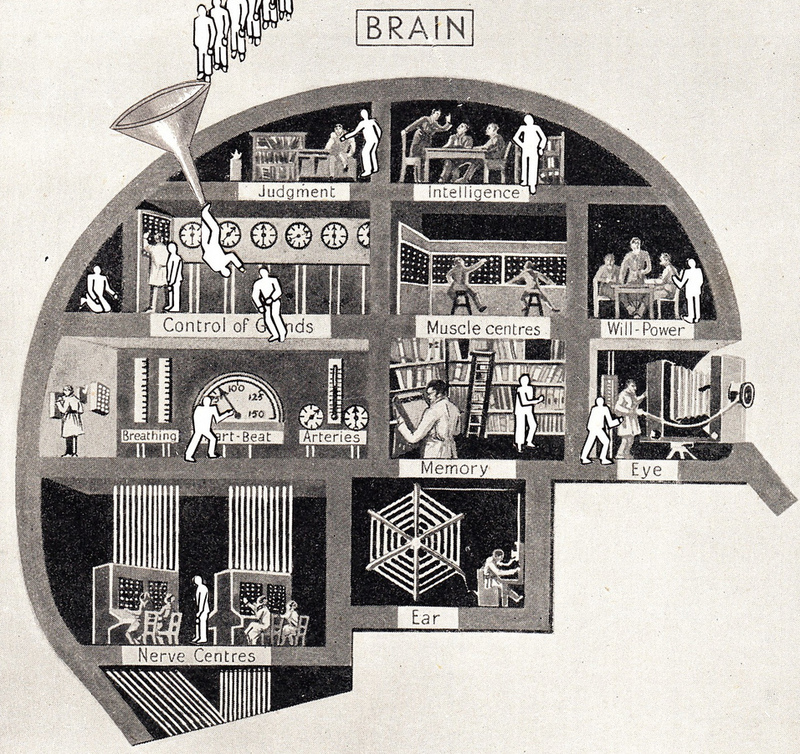 Because of military necessity, psychologists in the US rigorously studied the limits of the human brain and body and designed airplane cockpits with improved safety and usability. The design goals were to minimize human error. Oh, and me? That’s the kind of work I did a few years ago when I decided to get a PhD in Human Factors. I researched surgeons instead of pilots, but the idea was the same. This was before I knew that UX was all the rage, which would marry my loves of human-centered research and product design. In my eyes, UX took what Human Factors stood for, but added a little more fun to it. "Being a UX designer includes understanding how humans think and feel, and using that power for good." Now that I’ve personally worked with many different professionals in different industries, I have a handle on some principles of human psychology that I believe all UX designers should know, but probably don’t. Not pseudo-psychology like “how the color green makes people feel,” but real, scientific principles to elevate your UX design practice. Despite being a tongue twister, the idea is very simple. The proximity-compatibility principle states that within a display or screen, items should be grouped together when they are related to a common task. This design principle evolves from a basic Gestalt visual principle. (A quick spark note: The Gestalt philosophy suggests that humans perceive a whole that is “greater than the sum of its parts,” meaning our brains are heroes at making sense of complex visual input.) According to the Gestalt principle of proximity, we perceive grouped objects as more related than objects that are spaced farther apart. Easy, right? As a UX designer, go a little deeper and consider how the proximity among items influences not only how a display looks and feels, but also the user’s task flow. 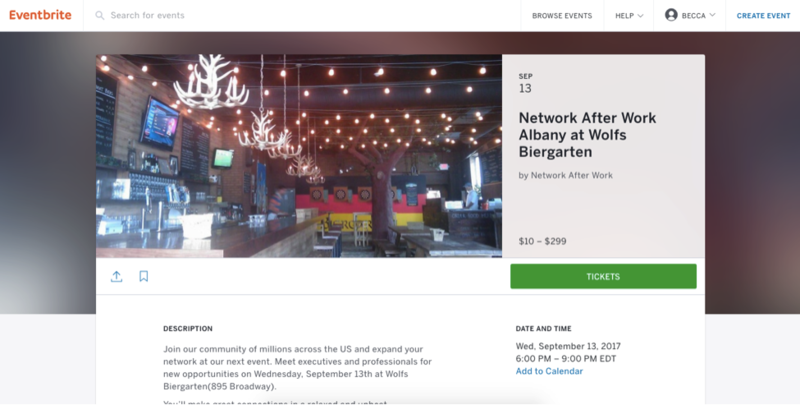 For example, look at how Eventbrite uses white space to group ‘compatible’ information together, in close proximity. The pricing information and ticket link are located together because those items are integral to the same task: buying a ticket. The event date, time, and calendar are placed together because it’s likely that while users are examining event details, they also want to access their personal calendar. By grouping related, compatible information, you help the user naturally progress through your interface. 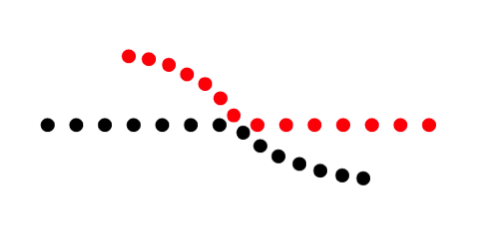 The continuity principle suggests that when elements are visually arranged on a line or curve, we perceive them as related or connected. This perception can even override other strong visual grouping features like color. The continuity principle matters in UX when you are arranging elements on a page. 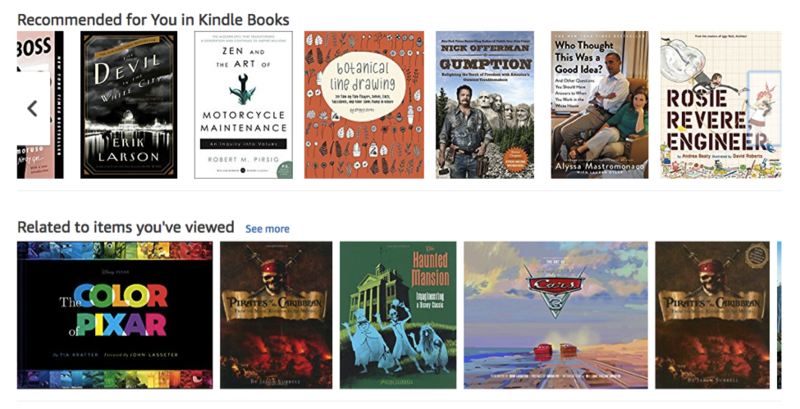 On Amazon, we perceive the rows of books to be related because they are arranged in a continuous line. The user understands that she is looking at an organized list of items curated by Amazon algorithms. 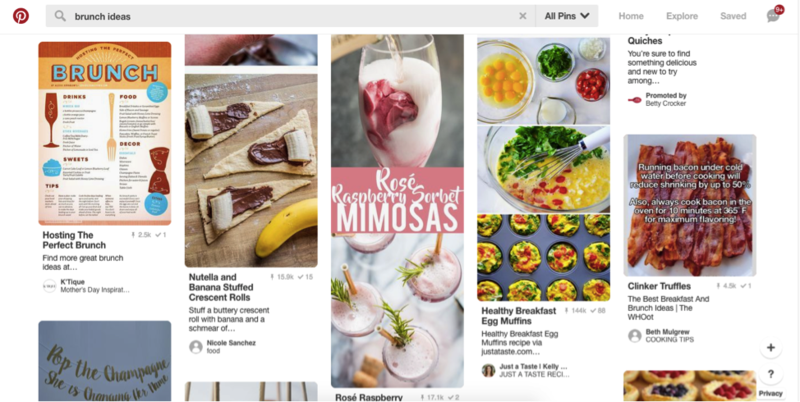 On the other hand, Pinterest-style blocks have variable heights. The arrangement of non-straight rows conveys a less-cohesive arrangement of items. This design feels like more of a scattered corkboard than an orderly filing cabinet, which is perfect for viewing a user-curated assortment of sources and ideas. Users probably perceive Pinterest lists as less interrelated than Amazon lists, even though they never consciously think about it. The two designs visually communicate different psychological meanings for different purposes. In your own UX designs, think about how you can use continuous or non-continuous lines to communicate relationships within information. Our visual attention is drawn to items that stand out from the rest of the environment. You can thank our expired caveperson needs, like scavenging for food and avoiding predators, for that. You can use the focal point principle to your design advantage by guiding visual attention to the most important page elements. Designers intuitively understand focal points very well. UX designers should also think about focal points as a way to make an experience easier, to make pages super scan-able while avoiding overburdening the user’s brain. Notice that the Blue Apron homepage contains “Sign Up” and “Sign Up Now” buttons that are orange and rectangular, in contrast to the blue logo, borderless navigation links, and white tag line. Orange is effective here because the colour and shape of the buttons visually contrast with the rest of the navigation. If a user wants to sign up for Blue Apron, he’ll have no trouble figuring out how, which certainly translates to sales benefits for the company as well. And the two similar-looking orange buttons achieve the same goal, which is important for clarity’s sake. As a UX Designer, consider how you can employ focal points to guide users to accomplish their goals. Besides colour and contrast, you can use size, shape, typography, or motion to guide visual attention. Of course, limit your intended focal points to only the most important items, or users will feel overwhelmed. And speaking of overwhelmed users, how do you organise large amounts of information to be easily digestible? Use a visual hierarchy. Humans naturally perceive the biggest or most attention-grabbing items to be most important, so you can use visual differentiators to create an organisation of information, from highest order to lowest order. 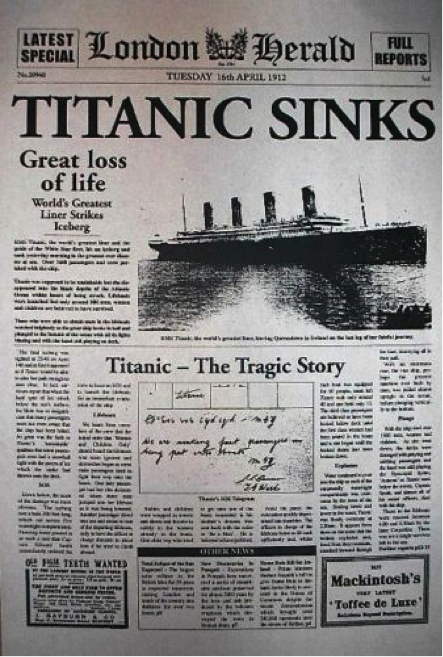 Newspaper editorial designers are really good at creating a visual hierarchy. Historically, pre-Twitter, passers-by on the street needed to quickly scan front pages in a newsstand to decide whether to buy a paper. Readers can rapidly digest a lot of information thanks to headlines or images providing a focal point, and subheadings giving a visual hiearchy outlining the important stories. This final psychology principle is actually classified as a “law” because there’s a mathematical formula involved (fancy!) In the 1950s, psychologist William Edmund Hick identified that the time it takes for a person to make a decision is dependent on how many options they are given. What does this mean to UXers? To make things easier on the user, limit the number of options provided. On an app or website, if users face too many options without a clear path, their tendency may be to quit and move on. 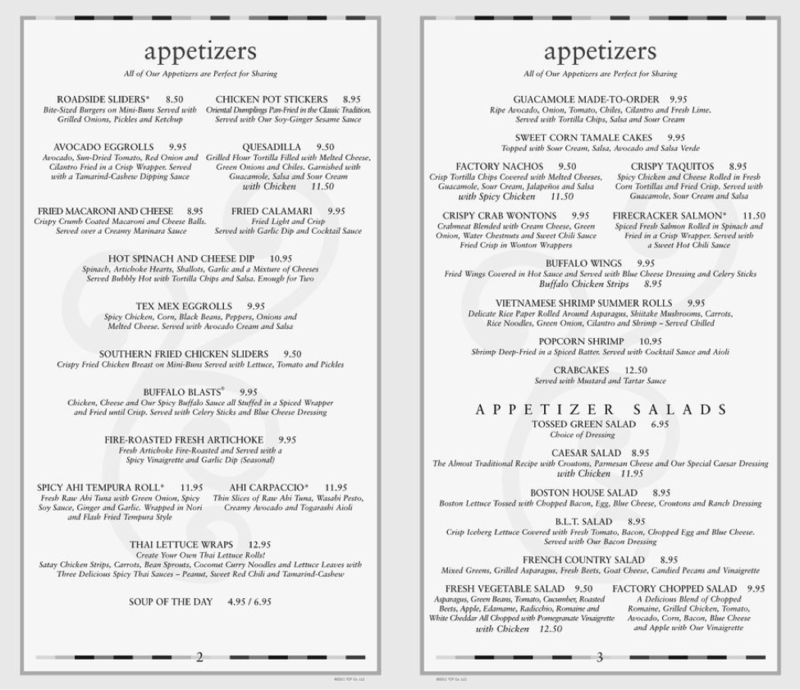 If you’ve ever eaten at a Cheesecake Factory restaurant, you recall their massive menu. Although I don’t have data to support this, I suspect that it takes customers an inordinately long time to decide what to order. “Do I want crabcakes? Avocado toast? Pizza? A cheeseburger? Hibachi steak? Fish and chips? Chicken enchiladas? Pasta carbonara?” There are pages and pages of options, spanning several cuisine categories. And that’s not even including the cheesecake. Luckily, by this point, customers have probably committed to sitting in a restaurant booth. And luckily for the business, the tasty, overindulgent calories keep them coming back for more. But what about digital experiences? Don’t make the TOO MUCH mistake with your designs. 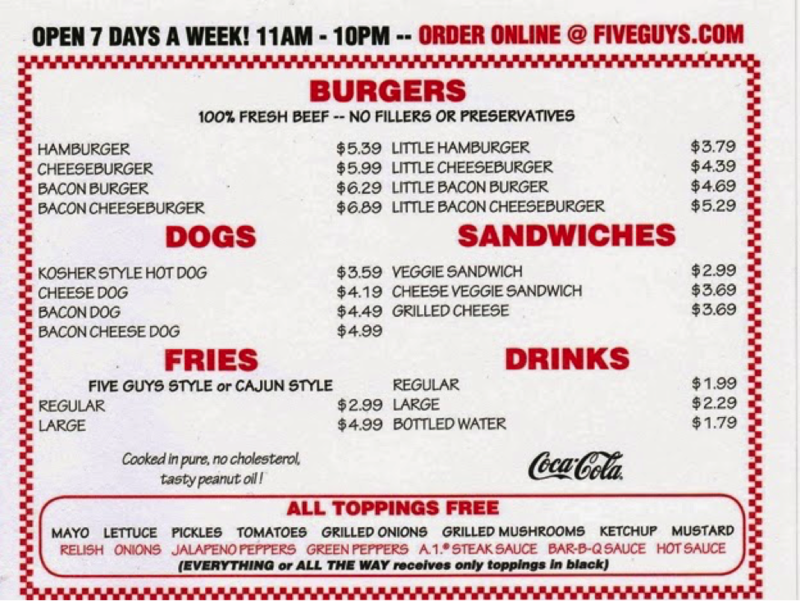 Chances are you want your interface to feel more like a menu for Five Guys burger restaurants. I’m not saying that you have to toss out pages and features, but if you organize decisions in a way that makes sense, you can keep users on board. That means prioritizing things (see #3!) and opting for simplicity whenever possible. Think: clear categories, logical flow, nothing extraneous. There is a very thorough article on Hick’s Law that was recently published on the Interaction Design Foundation website if you’d like to read more examples. I wholeheartedly believe that all of psychology plays into UX design, from visual perception to social psychology and behavior. The more you understand how people think and feel, the better you can create positive, helpful, delightful experiences. What do you think? Are psychology principles really worth knowing in UX design? Feel free to drop us your thoughts here: @XiMnetMY. This article is written by Becca Kennedy on Userzoom: Four Psychological Principles Every UX Designer Should Know.